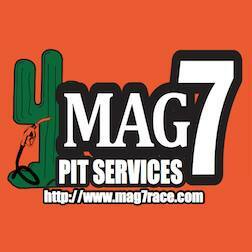 November 15, 2015, Ensenada, Mexico – Desert Dingo Racing announced today that Mag-7 Pit Service will be sponsoring the Class 11 team for this year’s SCORE Baja 1000 taking place Nov. 19-21. Today was supposed to be the first of two days of pre-running that would take us to the southern end of the course. Baja laughed. I’m just going to say right off the bat the trip to Mexico is not the most exciting. I departed Felton at 4 a.m. and met Cyrus and adam at 6 a.m. at the Pea Soup Anderson parking lot in Santa Nella (or Gustine if you’re Google Maps). November 5, 2015, Felton, Calif. — Desert Dingo Racing announced today that Fibercraft has signed on to sponsor the team’s sixth run at the Baja 1000, which takes place November 19-21 in Baja California, Mexico.